The initial diet a few weeks ago died a natural death. On Friday we had an office lunch which was catered, everything deep fried and lots of rice, and on Saturday I experimented with another recipe for butter chicken. This morning I got on the scales and the slight weight loss during the week came back with a vengeance. 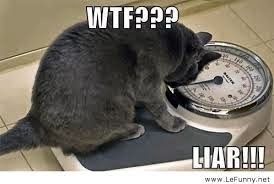 So it must be that the scales are faulty..... Right? It could of course be that creamy rich sauce for the butter chicken that I had on Saturday and Sunday. I started some minimal form of exercise, last week I managed to get up earlier and go for a walk twice, this week the aim is to increase that to three times...so far so good. The haze is back though which makes it harder for me to breathe but I am determined not to make any excuses and continue with my exercise plan.